TALIHINA, Okla. (AP) – The chair of Oklahoma’s House Veterans and Military Affairs Committee says the panel probably won’t hear a bill that aims to end a $100 million state construction project and keep a veteran’s center in a small southeastern town. 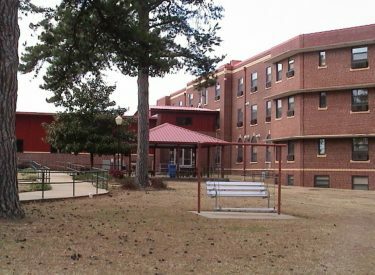 The Oklahoman reports that Rep. Tommy Hardin and others advocated for relocation of the Talihina Veterans Center, saying the aging facility needs costly repairs and can’t employ sufficient personnel because of its rural location. On Jan. 17, Rep. Jim Grego of Talihina introduced the legislative measure to stop the center from being closed. Supporters of his bill assert that repairing rather than replacing the facility would save taxpayers a substantial amount of money. The Legislature passed a bill signed by former Gov. Mary Fallin last year approving the veteran center’s closure.